Please check the model number of your current filter before ordering. If you need Model 5515 or L10HMLC, you can order here. If you are unsure of which filter you need, please call (800) 515-0324. Replacement of the cartridges is completed in a matter of seconds. Receive a discount for 2 or more. 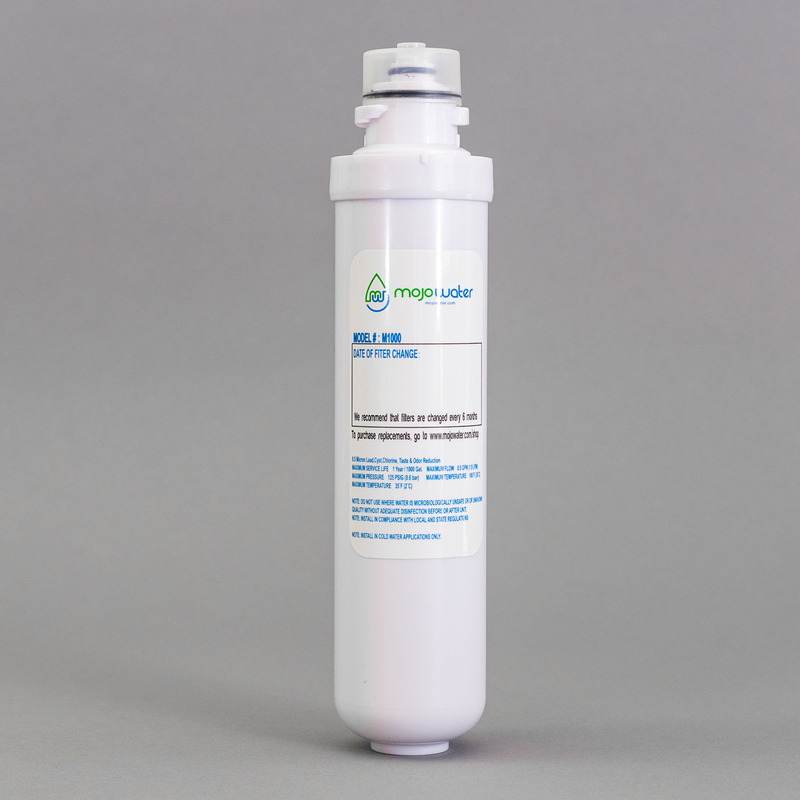 The M1000 Twist-Off Purification System is the ultimate “user friendly” filter on the market. Replacement of the cartridges is completed in a matter of seconds. You just detach the filter body from the permanent head with a twist of the wrist. The new filter cartridge is just as easily replaced by threading it into the head. Just turn off water to the cooler by turning the blue knob on the included shut-off valve. Then, change the filter in seconds. This purification system is independently certified to remove the things most people are concerned about in their tap water: chlorine and other harmful chemicals, lead, bad taste and odor. 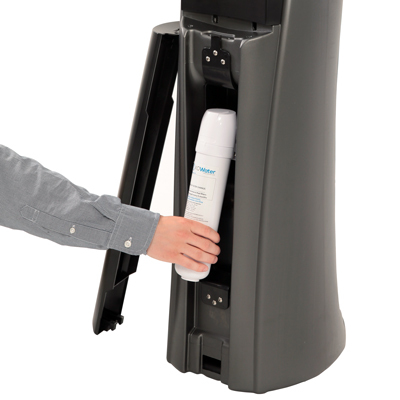 However, this commercial-grade purification system leaves the beneficial minerals in your purified water. Our micron purification system has been tested to NSF performance Standard 42 and Standard 53. It is independently certified for chlorine, lead, cysts, bad taste and odor reduction. Specifically, it is a 1 micron, block, granular activated carbon filter with lead reduction media. It is certified for 1,200 gallons which equates to drinking 240 of those big five-gallon bottles. These filters undergo rigorous testing and independent verification for performance. Each filter is rated at .5 gpm with a maximum pressure of 125 psi and a maximum temperature of 100º F. Class 1 filtration media. All filters should be installed on cold water lines only. 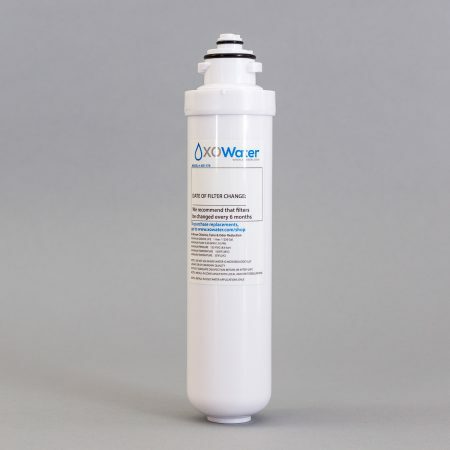 NOTE: Activated carbon filters are not intended to be used where the water is microbiologically unsafe or with water of unknown quality without adequate disinfection.